Holyhead could soon have its own version of one of the world’s most iconic landmarks if ambitious plans by leading ferry company Stena Line get the go ahead. 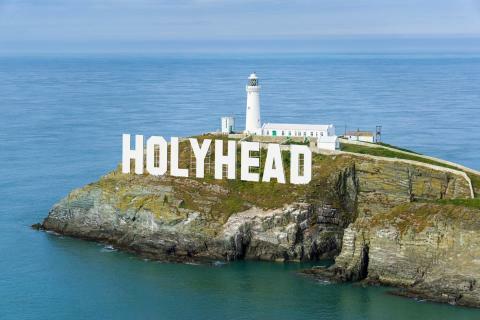 Stena Line, who own and operate Holyhead Port, want to erect a 100 ft ‘HOLYHEAD’ sign near the lighthouse at South Stack similar to the world-famous HOLLYWOOD sign which has provided the Californian city with an instantly recognisable global identity for the last 95 years. NOTE TO EDITOR: For further information please contact Ciara Kinkead of Duffy Rafferty Communications on Belfast (028) 9073 0880.